Launched by the duo behind acclaimed Soho restaurant 10 Greek Street and a team of drinks specialists, Braybooke Beer Co. operates with particular focus on food pairing. Alongside restaurateurs Luke Wilson and Cameron Emirali, Biercraft distributor Nick Trower and Stephan Michel, owner of Mahr’s Bräu in Bamberg, established the project after noticing a gap in the market for a versatile, thirst-quenching, German-style lager. Following a visit to Michel’s brewery in Bamberg, Germany, an idea for a British-brewed version was conceived. With a brewery now operating from a former grain drying store in Market Harborough, Leicestershire, Head Brewer Mario Canestrelli utilises his extensive brewing experience, showcasing his passion for Franconian beers. 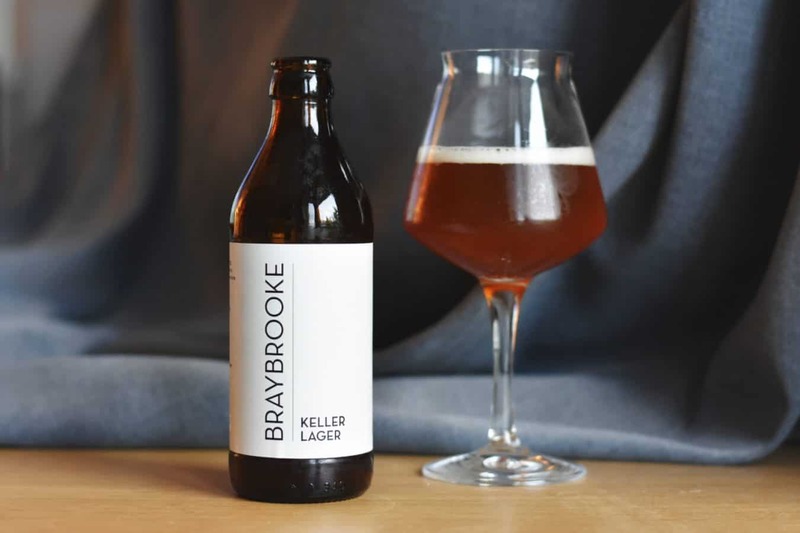 The brewery’s first offering, Braybrooke Keller Lager, is an unfiltered, unpasteurised amber lager brewed using German malt and hops, following a classic Franconian recipe. Crowned with a foaming off-white head, Braybooke Keller Lager has potent aromas of freshly-baked bread, joined with some toffee, grass, malt and some slight hay notes. Bread continues on the palate alongside savours of toasted biscuit, light berry and apple, married with feint honey notes and a soft, restrained bitterness which continues on the crisp finish with further whispers of bread and caramel. Further information on Braybrooke Beer Co. can be found here.